Tired of winter? Well, me too! Whenever that happens the first thing that I do is to find a way to bring some sunshine to my palate. 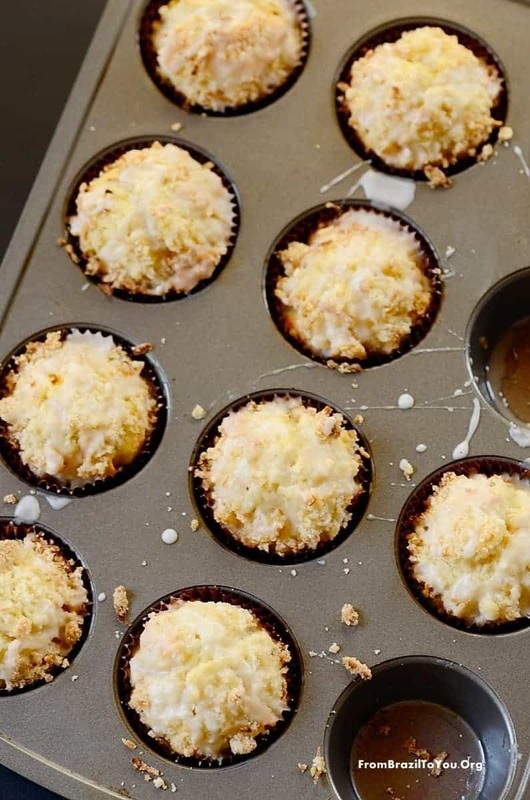 These mango coconut streusel muffins have the bright, tropical flavors that I have been craving for — but still with the comforting touch of winter baked goodies on account of the streusel. Our delicious, dense muffins make a great breakfast or snack on the go. They can easily be made ahead and transported to whatever you go. That is one way to make life more delightful regardless of the circumstances, wouldn’t you agree? Spring will hopefully arrive soon, but meanwhile I am sending sunshine your way, along with much happiness for your mouth. 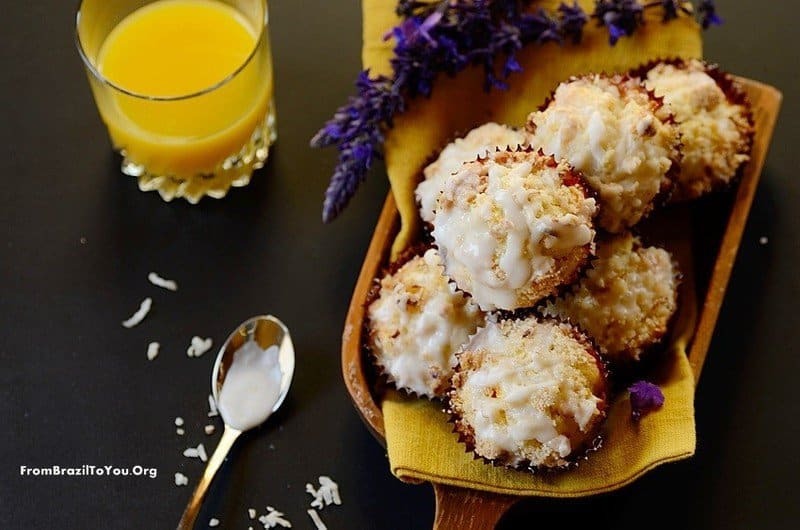 Enjoy our mango coconut streusel muffins! 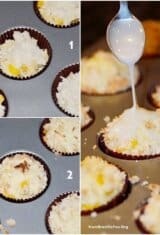 Mango Coconut Streusel Muffins with Coconut Glaze-- an easy and delicious breakfast/snack on the go. Heat oven to 400°F. Line a 12-muffin pan (standard-size) with paper baking cups; set aside. 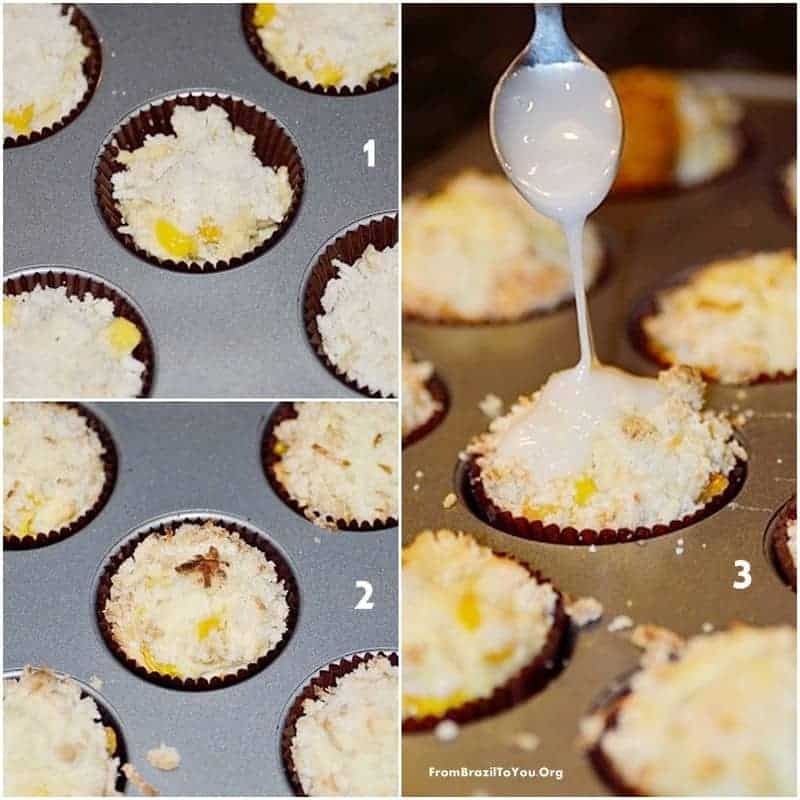 To prepare the muffins, combine the melted butter, coconut milk, and eggs in bowl; beat with a whisk until smooth. Add the flour, sugar, baking powder, and salt; stirring just until moistened. Gently stir in the coconut flakes and chopped mango. Spoon about 2 to 2-½ Tablespoons of the batter into the muffin cups. In a small bowl, combine all streusel ingredients and mix well. Sprinkle about 1/2 Tablespoon over each muffin. Bake for 18-20 minutes or until golden brown on top and a toothpick inserted in the center comes out clean. Let cool in pan for about 3-5 minutes. Meanwhile, prepare the coconut glaze if desired. For this, combine coconut milk and powdered sugar in a small bowl, and whisk very well until obtaining a homogeneous, smooth, thick mixture (without lumps). 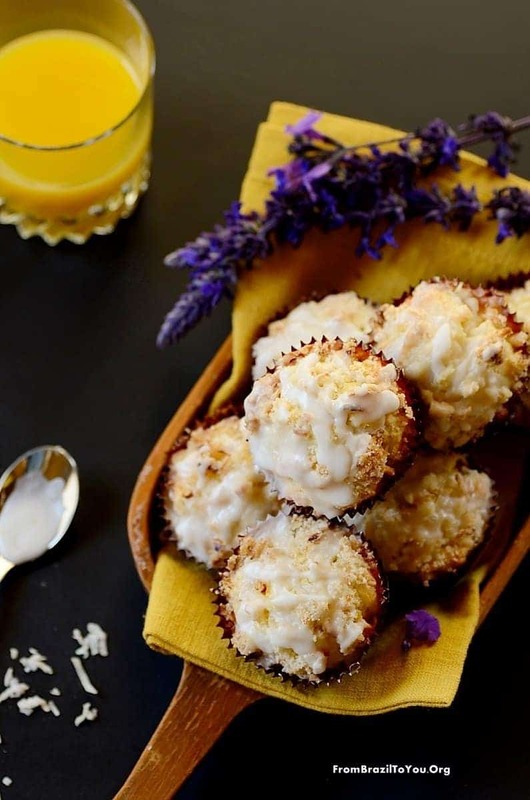 Drizzle on top of the baked mango coconut streusel muffins while still warm. Enjoy! 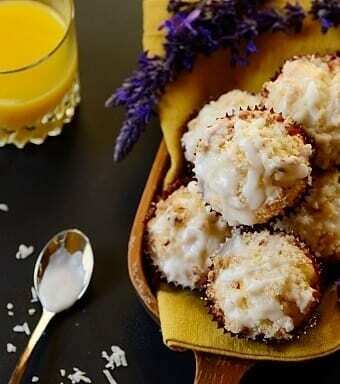 Wonderful looking muffins and I love the coconut glaze, great idea! 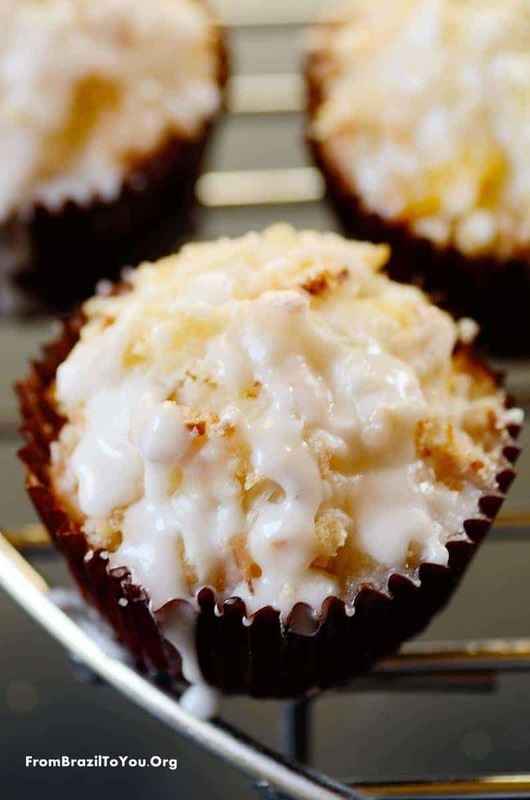 Streusel with Coconut? I’m in! What a fantastic way to start the day. Actually, these would be a scrumptious afternoon snack! Very wintry here today — woke up to frozen rain and snow. Yuck!! One or two of these wonderful muffins will take my mind off winter, though. Terrific flavor combo! Of course, I’m always a sucker for anything with coconut. Good stuff — thanks. Mango and coconut is so amazing together. In fact one of my favourite food pairings. With a streusel and a glaze, I bet it will be DIVINE! 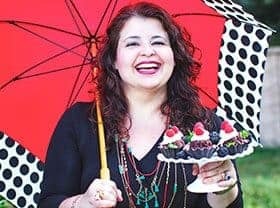 What a fantastic recipe you have come up with Denise! Loved what you did with mango, and it’s been more than a year since we had one in any form (they’re in the exotic fruit section in Greece). Thank you for another delicious recipe dear! hi! can i used packaged unsweetened or sweetened mango pulp for this recipe? Hi, Chiclet! Thanks for stopping by. I think unsweetened mango pulp would work best for this recipe. Enjoy! My daughter made these without the glaze and they are the best muffins I’ve ever tasted! Thanks! Jackie: Thank you so much. So glad you enjoyed this treat. 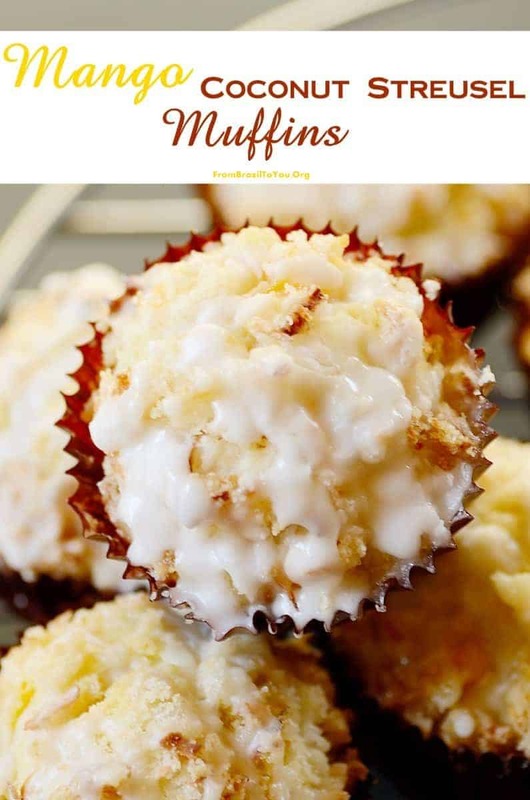 My family loves these muffins especially my youngest daughter. Have a great summer! Denise, I forgot to mention that my daughter substituted gluten-free King Arthur’s flour blend for the wheat flour. I usually don’t care for gluten-free baked goods, but the muffins were so delicious. So glad to hear that they were delish even made with GF flour.